At the beginning of the week I spoke with Marriott’s Senior Vice President for Loyalty David Flueck for an update on the integration of Starwood accounts onto the Marriott IT platform as they launched their new loyalty program on August 18th. 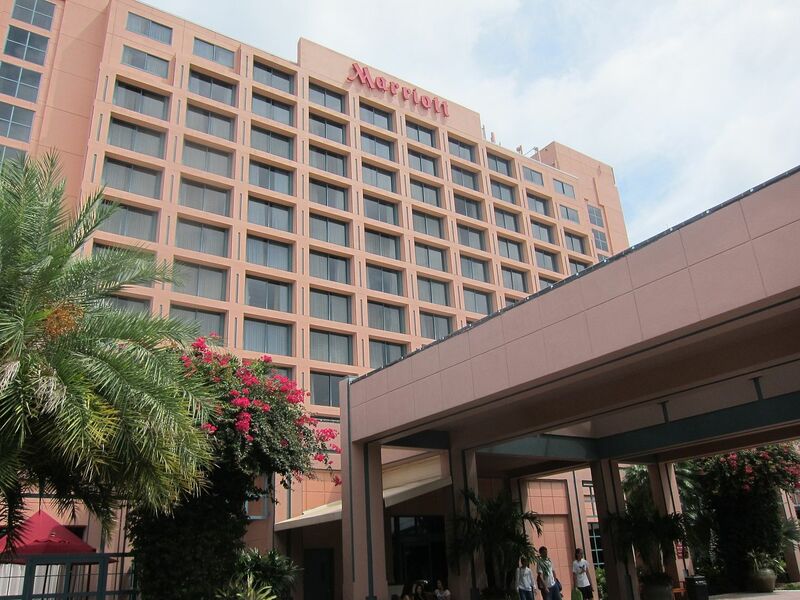 There have been myriad complaints from members over the past two weeks, even as Marriott managed to get the ability to book most hotels online quickly. Member accounts have reflected the wrong elite status, the wrong points, the wrong lifetime status. There have been errors in combining accounts (something you still need to do even if you previously linked them). And some award stays haven’t been bookable, even though the window from program launch through the end of the year has been pitched as a prime value time for redemptions before a new category 8 and peak season pricing starts next year driving up the top cost of a standard room night from 60,000 points to as much as 100,000 points per night. My overall take has been that they got 90% of the way there, but with too many errors for too many members and that it’s taken too long to fix. Since the number one issue readers have been emailing about is problems with their Marriott accounts and functionality with the new Marriott program, issues here could be greater than the company either realizes or are willing to acknowledge. I still maintain this hasn’t been the debacle of the United-Continental integration by a long shot, but gremlins have been persisting now for two weeks. Once elite business travelers come back from the Labor Day weekend the program needs to be working correctly or they’ll start to have problems with key customers. So I reached out to Marriott for another update on where things stand fixing issues. They believe most of the big ones have been solved, but with multiple reports in the past few days from members with an extra half million points in their account or extra 100 elite nights this year that they haven’t stayed I’m not so sure. The key takeaway though I think is that in areas where Marriott believes their fixes are complete, it will be time to take up your specific issues with them. Unless you have an urgent need for missing points you may still want to wait a couple of weeks until things settle down. And you may want to put your request in writing. You won’t have to wait on hold, you won’t need to be transferred to a more empowered agent, and you won’t need to repeat your story multiple times. Legacy Starwood awards not returning points when cancelled Marriott says they are “now returning the points from awards canceled prior to 8/30.” However they’re auditing this process to it will “take a little time” and they’ll offer timeframe to completion next week. Lifetime status years not reflecting properly. Marriott thinks that lifetime status should now show correctly and if your account does not you should contact them individually. They remind that if you’re working to achieve lifetime status by the end of the year under legacy requirements from either the Starwood or Marriott programs that status won’t be recognized until January. You are correct some all-suites hotels as well as a handful of others are currently not bookable for redemptions. Due to issues around the incorrect loading of rates under the new system, we are now working with these properties to correct the situation. Some properties may be available for redemption bookings sooner than others over the next week and a half. We are working as quickly as possible to solve the problem. I don’t yet have comments on extra hundreds of thousands of points and extra elite nights in member accounts or where things stand with American Express being able to match legacy Starwood numbers to new Marriott numbers. I’ve also asked whether IT working through the long weekend on this at full capacity or if they’re taking Labor Day off. I will write again when I learn more. I don’t see the nights from my legacy spg Amex (5nights/2stays). Should I be seeing those? The annual fee on my spg cards posted in August, any idea when the free night will show up? So we still don’t know whether or not the St Regis Maldives OWV will be 170k or 192k per night? Thanks for your concern, Gary and your reaching out to Marriott. I can tell you that they certainly have not fixed their stays not posting properly issues. Am missing multiple stays — looks like the cutoff for those stays for me was 8/13/18 and going forward. Also, missing 5 credit card nights from SPG Amex credit card, although that is reflected in the small link page for points/stays before the integration date. Gary, why are you ignoring the Travel Package problems? I can understand why Marriott does not want to bring up the issue since they have totally failed there but why do you and the other bloggers ignore it? As someone who has more than a little experience auditing data migrations/integrations I’m less than impressed with what I’ve seen from an external customer perspective. I’d agree that Marriott is about 90% there, but that means that 10% of customers are dealing with a bungled data migration that wasn’t their fault. Assuming Marriott and SPG combined have 100 million members, that means 10 million members are potentially affected, which is a big deal. To be fair, this was a massive undertaking, but getting it right was the professional responsibility of hundreds, possibly thousands, of Starriott employees with a process that began over two years ago. If I were the auditor on this data migration I’d want to know if Marriott really understood all of the details of their merged loyalty programs? Did they thoroughly test various scenarios and edge cases before 8/18? During the go/no go meeting did someone say “Go” when they knew everything wasn’t all sorted out? Or worse, did they not even know things wouldn’t work on 8/18? Did they consider training for the front lines of customer support before, during, and after the migration? Just my 2 cents – call hold times have not come down noticeably. Still averaging around 30 minutes for me . Still issues regarding SNA and the inventory loaded for “suites” – some just offering better rooms and not suites . Some folks didn’t get or can’t apply their SNA. Reports on FT that properties show standard rooms for cash but not for award . Points to miles transfers that error or haven’t happened . Emails go unanswered , some for several weeks . Just a sampling of some of the issues not addressed . If we are going to compare merger related woes , and UA/CO is fair (though I had only a minor issue and never waited 30 mins or more on phone and got email replies within days , not weeks ) , then we also must , in fairness , look at DL/NW and AA/US – I had no issues with those mega mergers . Dropping hotel reservations is just as bad as dropping segments . So while this merger is not worse than UA/CO , it has many of the same types of issues . Only , in this case , it’s been far more frustrating, IMHO, to get a response or corrective action . @JohnSF it is simply not interesting to me. I have covered what Marriott did with travel packages extensively. Unlike many others I never advised folks to book travel packages prior to 8/18 on the bet that if Marriott wouldn’t tell us their plan then it wasn’t going to be good. To be candid I’m more or less bored of Marriott travel packages and more interested in other areas of challenge for the program right now. @gary – have you been able to get a definitive answer on when $300 credit starts for upgraded cards – upon upgrading / after prorated annual fee is charged / when first full annual fee is charged? FWIW, upgraded immediately but no card yet. Real journalists cover what they should, not what is interesting to them. Clearly Travel Packages are of great interest to many of your readers based on the comments, and they are asking for your answers and help, since Marriott hasn’t provided either. Show us some ‘thought leadership’. Travel packages are the elephant in the corner of the room that none of the bloggers have been willing to touch post merger. Keep pimping those Luxary cards thought, those apparently are pretty interesting. I haven’t seen it definitively answered (but have seen a few “well I hope…” comments) – if going for lifetime status using legacy rules, is it better/required to wait to combine accounts and credit to the associated legacy account? I am about 5 nights short on the SPG side of things and wondering if there is any benefit to waiting to combine until I get those nights later this year. IMO my experience with this is far worse than the United/Continental migration and I was a United elite flyer at the time. My MR platinum elite years is still screwed up— 50+ nights every year since 2010 and MR plat count shows 2. My year to date spear shows as $0 after 49 nights. Two weeks later and no progress. No credit card points posting either. Recent activity not updating. SPG properties can’t be booked with travel package certs. Marriott call centers have gone from ‘very good’ to difficult to reach at best and clueless once you get through. Before the merger I thought the long wait times were due to the extra trainer the call center employees were surely receiving before the cut off — well my interactions post-Aug 18th clearly show that little or no training has happened. People complain about No Marriott promo? They can barely get a stay posted… a promo? What a cluster that would be. It appears that SPG hotels are still on the legacy SPG booking system…. the only change here appears to be a Marriott skin to get us the SPG booking engine? Looks like we have another migration to look forward to …. hopefully it won’t be as botched as we’ve seen so far but I’m not optimistic. My opinion of Marriott as a company has dropped significantly because of this rollout. I rolled a stay last night from Marriott to Hyatt last night because I’m thinking it’s best to stay away until they get their act together. Looks like I’ll be doing the same with my stays here in two weeks. All of this after what? Two years since the merger’s closure? And this is the best they can do? Travel packages and I don’t mean the whole controversy over what Marriott did or didn’t do in the past. I sat out the Travel Package “Gold Rush” but I do have a reservation I made with a certificate that I now need to cancel and move to another hotel/country (the certificate was acquired well before the gold rush). The whole process for TPs seems screwed up. I just want to move the certificate from one Cat 4 hotel to another but there appears to be no way to do so. I still have time but this is for a reservation in early January and it would be nice to get it resolved. Two Amex points haven’t posted for me yet from mid -August statement on two cards. This is minor in the sense I don’t currently need the points but still it shouldn’t be taking this long (I had spend on the cards in late July before the gutted the earnings). Overall the issue I see is how poor communications has been from Marriott. Thankfully I have avoided a lot of issues by completely avoiding Marriott in all travel reservations for next 9 months with the exception of the certificate I really need to burn before it expires early next year. Personal observations follow, but most importantly, THANK YOU GARY, since you are covering this story far better than others, and the story is significant since, as Marriott says, it has 110 million accounts. 1. Call times still awful and agents, particularly on the Marriott side, are hurting. I truly believe they haven’t been taught the new program. Tried to cancel an old Starwood reservation on points yesterday and agent couldn’t even see it. Figure I may wait awhile on this one due to fear the points won’t return to my account. 2. Received the 50 night suite upgrades but Marriott website says I’m well on my way to 75 nights, but I am actually at 77. Agent never heard of the program. 3. After four calls about AMEX Starwood credit cards not able to recognize Marriott Rewards numbers, my Starwood credit card was linked to my Marriott account last Thursday. So, some progress. 4. This “subject to audit” thing is terrible–when can I rely on my lifetime nights, years and points as being final? Still getting messages (particularly on the app) saying that the numbers could change. 5. Why did they remove Marriott lifetime points from the web and the app again? Means a call to the overworked agents to see if actual points also added to lifetime points? 6. After several calls to Starwood, I gave up on booking either of the Starwood hotels in French Polynesia on points. Just booked five nights at the Conrad Bora Bora on Hilton points yesterday. Piece of cake–all done online. 7. Can’t help but wonder if IT reported back that it wasn’t ready and Marriott leaders decided to do the conversion anyway. Choice of a date was solely withing Marriott’s control. I had to email receipts for my last three stays (London, Heidelberg and a SPG design hotel – all in August). Plus the count of my stays is off for the year. I am Marriott Platinum for Life and have been for several years. The delays in posting stays in my opinion have been getting worse. In addition I have tried to transfer points from MR to United and the system had failed a good ten times. My credit card and stay points seem to be added to the balance but there are no individual postings. The activity prior to 8/18 still appears incomplete. I have merged my accounts (Starwood into Marriott) and had both award and revenue reservations active on both profiles. While my points are correct and my lifetime stays and years are accurate, my reservations from my Starwood account are missing. There is a tiny note in the Marriott app (but not the website view) telling me that they are having a problem displaying some of my reservations. That note has been present for over a week. My first stay is coming up on Tuesday. Thank goodness I have everything loaded into Concur/TripIt so I can at least see where I’m staying! Marriott is the preferred program at my firm and I’ve heard nothing but complaints during the last two weeks. Meanwhile someone stepped up and negoatied a corporate deal with Hyatt. Good timing. What about bonus stays/nights earn from spg member exclusive promo this year? Will they be added accordingly if I combine my account? This is the kind of uncertainty that is putting me off from combining my account. And where is the stay counts for those who intend to qualify by stays through SPG? Marriott communication throughout this merger is just pathetic. Next time you are in touch you could ask Flueck about the timeline for updating the upgrade t&c for platinums from leaving it at the hotels‘ discretion to making it a guaranteed claimable upgrade to the best available room. How do we contact them? My biggest problem is my Lifetime Platinum Status turned into Platinum Elite. WTH? So if that part is fixed, I need to get hold of them. Is there an email or phone number? I’ve never liked Marriott so I don’t have a card. MANY of us did buy travel packages and need answers. A “leading travel expert” needs to address these issues. Missing points from 11 nights of stays in three different properties. Marriott is one month behind on my account. Missing points for: stays, welcome bonuses, credit card points, compensation for problems in two properties and in exchange for not taking the included breakfast. However my Platinum status does appear. Here’s another issue. I don’t know if it’s isolated. Booked a 6 night stay with a one night cert and points for the rest. I had intended to use the TP cert, but the rep pulled the other one, despite me being very clear. I understand now it can’t be used until later in the month. When I cancelled, the points went back immediately (hooray) but the 1 night cert is no where to be found, and the rep said that there’s no record of it being used (other than my e-mail and the fact that I was only charged points for 4 nights (with one night free on a 5 night stay). Thanks, Gary, for keeping your readers updated on this. I haven’t seen other reporting in the detail of yours. 1. Not until five days after the rollout could I get the merged system to let me merge my accounts. However, it retained my NEW Marriott number assigned to my SPG account, and gave me no on-line ability to instead retain and use my long-time Marriott number which is what I wanted to do. 3. I then had to call both AmEx and Chase to give them the new Marriott account number to put in my SPG card and Marriott card accounts. 4. The good news is that the new Rewards account appears to accurately reflect the total of my Marriott points plus my SPG points (the latter multiplied by 3), and also has correctly added my SPG card and Marriott card points earnings in mid- to late-August. 5. The new account has my lifetime status, number of nights, and years at various status levels correct. 7. The new account will not yet (as of this morning) let me establish my “Profile” contents(preferences for stays) as those were established for my previous and now deleted Marriott account in my new account. A message pops up saying Marriott is aware of the problem and is working on it. I hope Marriott sees the financial fall out from their disdain for customers. Should be lifetime Plat Prem – don’t even show as lifetime just Plat elite ( This means my priority for ug is lower than it should be and I saw the result of this on a recent stay! Any company that thinks it’s okay to lock customers out of booking for a month (despite a posting from “marriotT insider” that we could book after a few days WHICH WASTED EVERYONE’S TIME B/C NO AGENT KNEW ANYTHING ABOUT IT) clearly has no respect or concern for the customers – just unforgiveable. Hi, I had signed up for the amex Spg personal cc at the 25K bonus when everyone thought it was going away,but didn’t complete the spend until right before the merge. Now my points finally posted to the new marriot account but only 25K not 75K. Even though I met the requirement before Dday. But with them waiting to post amex spend points I didn’t see them till after and by than it didn’t get multiplied. Any advise? More lies from Marriott about the scope of the problems. It’s a far cry now from the swaggering arrogance of the rock star launch parties back in April, coinciding with the self-congratulations from the likes of Flueck ,in the company of his adoring and compliant groupies ,such as TPG. NOTHING is correct in my account: not nights nor years nor status nor stays , reservations, suite nights, ….not a single thing. No response from Marriott. Keep questioning them and reporting on this story, please. BIG issue for us is making a rez, w/o enough pts in one acct. and then not being able to transfer those points from the spouse’s acct. Example: wife is Platinum but has only a few 100 pts in her acct. I have 700K++ in mine but no status. I want to make a rez. in her acct. because of status benefits. Reps cannot move pts from one acct to the other. Sad…. 150+ night a year ex-starwood person here and I’m all in on Hyatt right now. They aren’t botching my attempt to book and manage my once a year vacation in Orlando – they are botching my ability to book and manage access to essentially my second home. Worst of all is my Ambassador saying she can’t do anything about it. Not really sure what the point of having her is either now. What a big mess….my travel package got converted from a cat8 to cat5 and i received 30k points back into my account…the problem is that the cat5 package / certificate shows up as 105k points only….because of that i cannot book any cat5 SPG properties…..i paid 370k points for this cat8 package and I eneded up with a crapy certificate ….I have been trying to fix this for a couple of days now….long wait times…they simply drop your call after a while…very frustrating….any other ways of addressing this?….i keep calling but they keep putting me on hold and dropping the call in the end…..
We have been loyal Starwood members for many years. When the merger happened we did not get all our points. I was able to prove what I should have as I had a Master Statement from Starwood dated 2016. I sent the exact accounting which reflected the missing points of over 200,000 which would be tripled. After well over a month I got an email stating that the points that they gave us were accurate as of the day the merger occurred! This clearly shows that the person writing it never went through my Excel statement! I have no idea where to go to from here. Any suggestions.